Final Fantasy XIII US Release is Today! 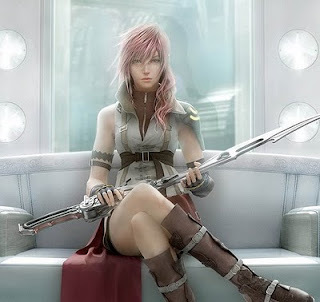 It's sure been a long wait but Final Fantasy XIII is out today for us late comers here in the US. Like many I'm excited to get it and I'm going to ignore some of the so-called bad reviews I've been hearing about it. Glad I run my anime business full time on Tuesdays because I can nab this before all the people come home from school or work ^^. My user name on LIVE is: chuckgaff415 ..though you'll mainly see me on that playing Gears of War II or Call of Duty Modern Warefare II. Either way, happy playing and enjoy every bit of FFXIII, if you haven't already.